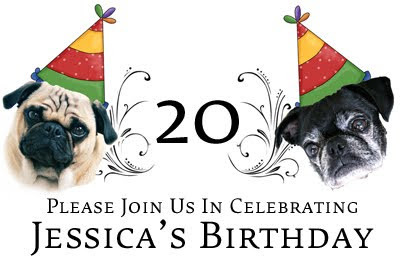 Welcome one and all to my 20th birthday blog bash! We loved seeing so many of our guest's photos in our inbox and we've baked up a batch of fabulous pupcakes for you all! You can all feel free to take your cupcakes home with you and post them on your own blogs if you'd like. All you have to do is leave a comment and you are automatically entered to win. We will draw the winner on Friday afternoon, so even late guests can get in on the fun! 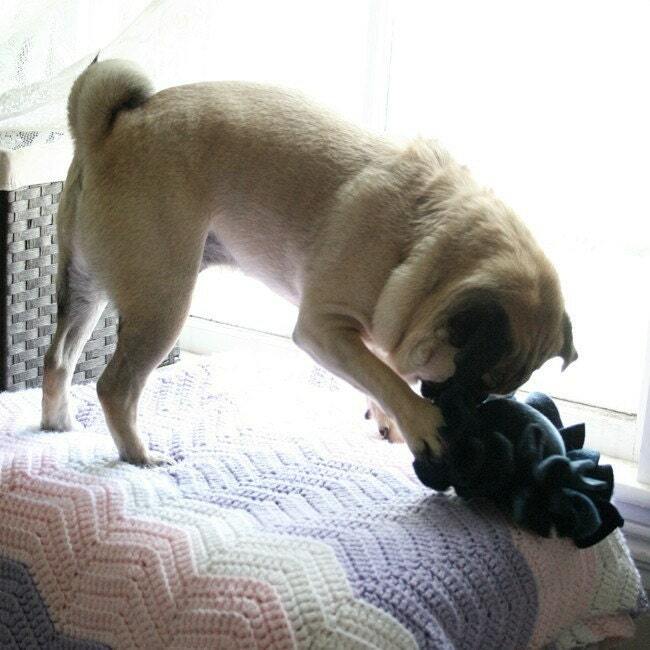 Vito loves presents! Paws crossed! And happy birthday! Happy birthday! Those are the cutest pupcakes we've ever seen. Hi Jessica HAPPY BIRTHDAY! I loves me the pupcakes, especially the one with YOURS TRULY NOODLES!!! I hope you have a spectacular day! Happy Happy Birthday!!!! I LOVE the happy pug cupcakes!!!!! I love following your blog! My pugs and one bulldog absolutely adore your wonderful pug-filled adventures! A very happy birthday to you sweetie! May ALL of your wishes come true! Enjoy! Happy Birthday Jessica! I hope you have a wonderful day! Now where's my Mom so she can send you my picture....MOM!!!!!!!! Wow, so adorable! Lincoln and I are so happy we made it on a cupcake!!!! Yeah!!!!! Happy happy birthday. 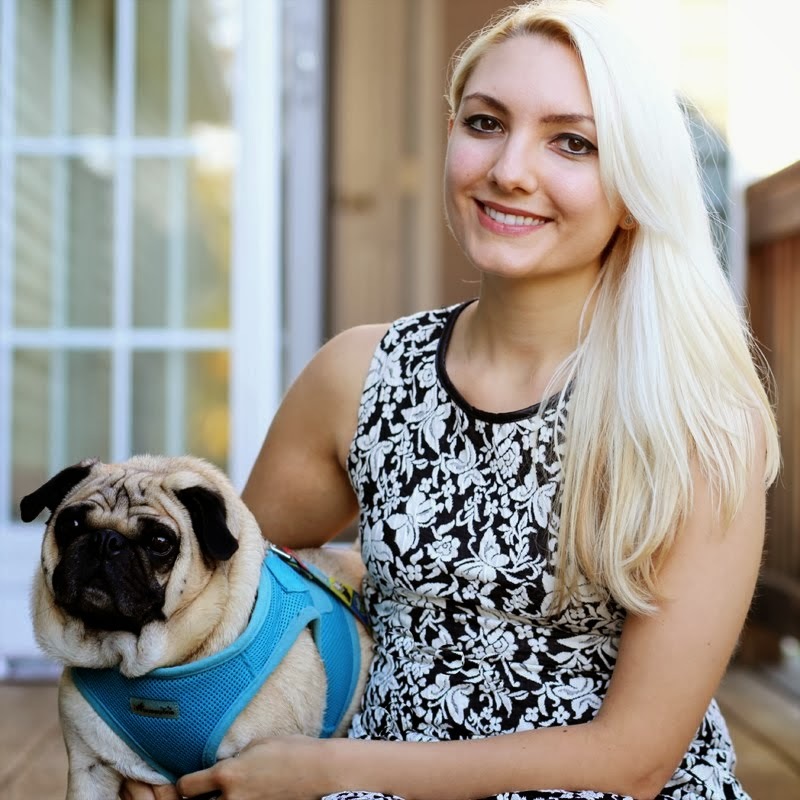 Did you know your birthday is on National Hug a Pug day?! Oh my gosh these pupcakes are so cute. We love them all..Minnie looks adorable on hers she has one sweet face. Happy birthday to you and we hope you have a fab day. Enjoy all your birthday wishes!! Oh what happy looking cupcakes with faces on them. 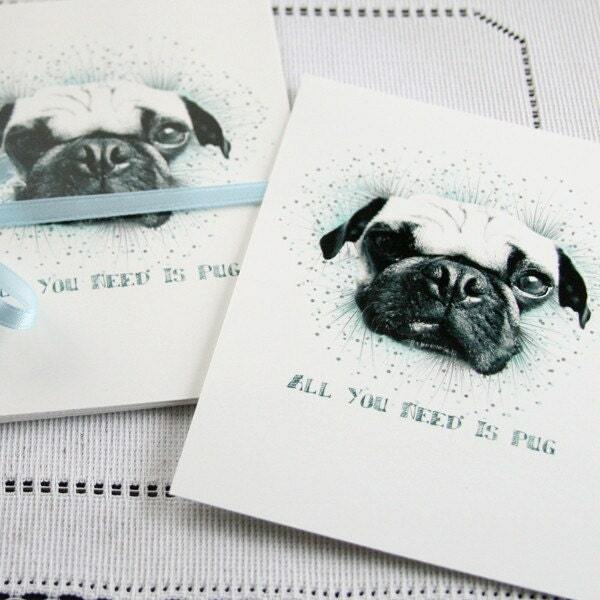 The pug cards are adorable.